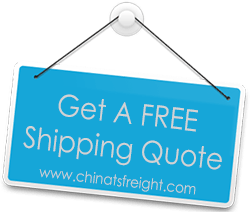 As a business, it’s essential that you not only ship your clients the items they bought very fast, but that the shipping rates are also very low or even free of charge (based on your specific business model and industry). The good news is that if you’re just starting out with this, in the article below we’ve shared some amazing tips that are going to help you learn more about becoming more efficient with your shipping. Before you decide to put up a small slip on your website saying that customers can benefit form free shipping services, you need to adjust the price of your items so that they include the cost of shipping and then check with your shipping company to ensure that the amount of money you need to spend to ship a specific item is correct. If it isn’t, then you’re going to lose money in the process. All of your items need to be carefully packaged if you want to have the peace of mind that they’re going to arrive safely at the destination of your choice. For this, you need to use a rugged box that has the right size and don’t forget to also add enough packing material. Don’t forget to use plenty of tape as well. As a business owner, you probably already know this too well and that is the fact that your customers want to get their hands on their items as soon as possible. Because of that, you need to always try to ship their order in the very same day or within 24 hours. You should also inform your clients about the date and time their order shipped. It’s very important to have shipping supplies on hand by getting them from other online stores out there or just having someone else (a co-owner) get them for you. Shipping supplies, such as lightly used cardboard boxes, packing peanuts and bubble wrap can also be reused, which is going to save you good money in the long term. Last but not least, after you have managed to ship the items your clients have ordered, you need to also send them the tracking number, so they can easily tell where their package is at any given time.